Makes a case for not swimming naked. 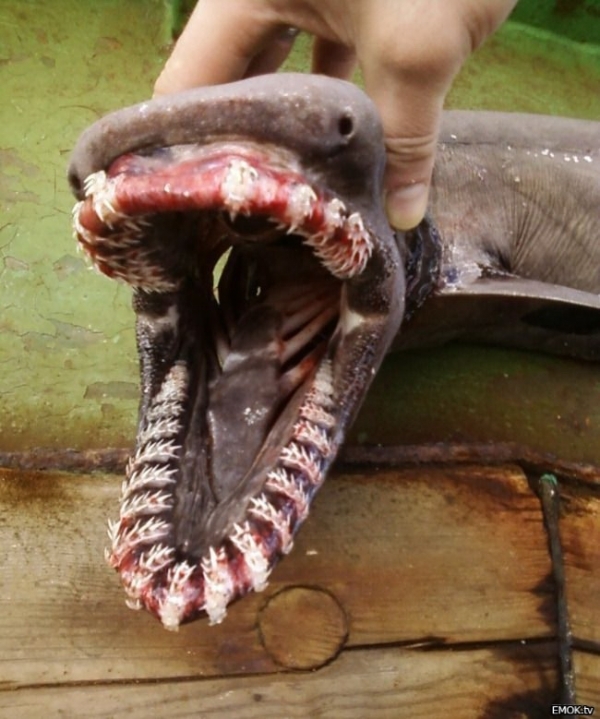 It’s a frilled shark. Generally stays in deeper water. I’d be more concerned with the cookie cutter shark.